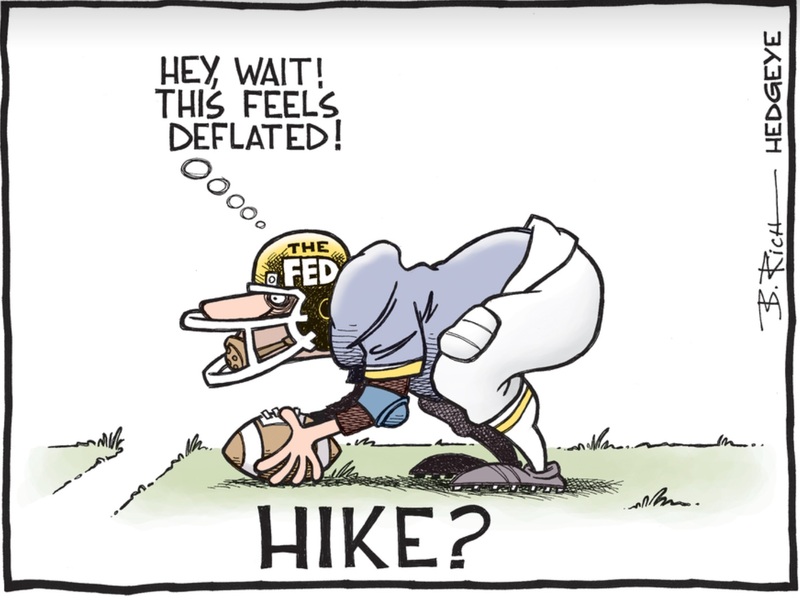 Inflation Just Around the Corner? The stock market has opened down slightly this morning after a brutal pounding at the end of last week. The conventional wisdom is that collapsing oil prices and the prospect of a Fed interest rate hike this week are the causes, but that’s just a herd of independent minds reinforcing their collective ignorance. Let me add to the collective ignorance with a nod to J.K. Galbraith’s remark that economic forecasting was invented to make astrology look good. The Wall Street Journal opens this morning with a long feature about the puzzle of low inflation on the eve of the widely expected interest rate hike. “There’s no way in hell anybody reasonably predicted, using the mainstream models, that you would end up with inflation this low,” said Adam Posen, the president of the Peterson Institute for International Economics, a think tank with an international focus. A new theory about low inflation has emerged from former Bank of Japan governor Masaaki Shirakawa. While his former professor, University of Chicago economist Milton Friedman, said inflation could only be caused by a surge in the money supply, Mr. Shirakawa raised demographics as a cause. Japan’s aging population during the 1990s and 2000s seemed to unleash powerful deflationary forces, according to his theory, by lowering expectations of growth, straining the government’s budget and putting a growing proportion of Japanese consumption in the hands of older people who draw on savings rather than younger wage earners. . .
Not sure this is persuasive, but it’s worth pondering. We’ll see if further research can validate this hypothesis. This says to the contrarian in me: time to buy inflation hedges now! When no on expects something, is when you should expect something. These tend to be the same kind of folks who said housing prices would go up forever ten years ago. My two cents’ (soon to be one cent’s) worth. An astrologist is just as likely to get this call right.